It's a shore-close soiree with plenty of water-reflective lights. 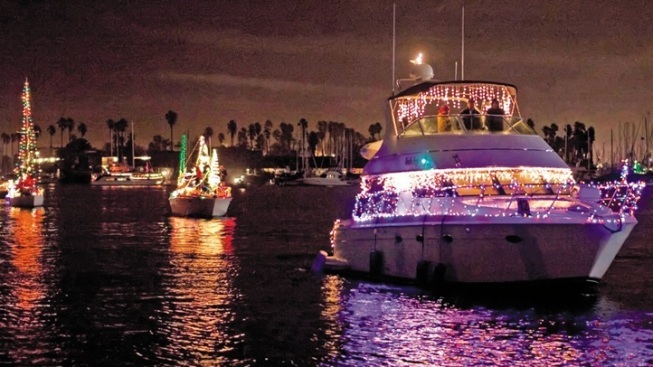 Find a spot near the harbor and admire the wave-wonderful glow of the yearly Parade of Lights. Date? Be in the Oxnard area on Saturday, Dec. 10. HOORAY FOR HOLLYWOOD, so don't be surprised to see a yacht or two take on a movie look, or even pay tribute to a specific cinematic favorite. True, the heart of Tinseltown is about a 60-mile drive from the area, but the spirit of filmdom will shine as various boat masts go for a merry and movie-ish mien. The cost to see all of this on-the-water spectacle? It's totally free, though a number of Pacific-adjacent restaurants and taverns are great places to perch for the show (so prepare to buy dinner, drinks, or such). Santa's arriving earlier in the day, and there's stuff to do before sunset, so if you want to make it a full-on thing, plan your getting-there on the early side.